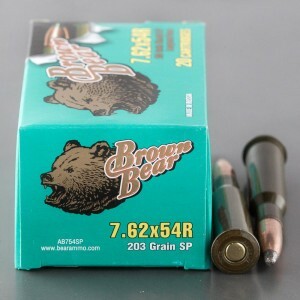 7.62 x 54r soft point ammo (aka 7.62 x 54 Russian) is a rimmed, bottle-necked, .30 caliber, rifle cartridge comparable to the .30-06 Springfield. Therefore, even though it is a vintage military rifle cartridge, it is actually quite powerful and has proven to be very accurate in international competitions. 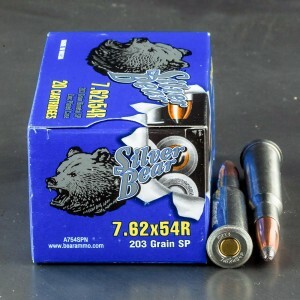 In fact, with a muzzle velocity comparable to that of the .30-06 Springfield and bullet weights ranging from 147 grains to 203 grains, this cartridge is an excellent choice for hunting medium to large game species by providing controlled bullet expansion and deep penetration. Consequently, it an excellent choice for the North American or European game hunter and it has even been successfully used on African plains species. I have used this ammo for about 5 years now, on Texas deer. 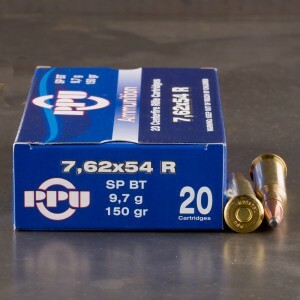 This ammo is very accurate and this SP really knocks them at point, or they take only handful of steps. You will not have to track them with this ammo, never. OUTSTANDING RIFLE ROUND. CAN NOT BEAT THE PRICE. NOT ONE BAD THING TO SAY ABOUT SILVER BEAR BRAND.